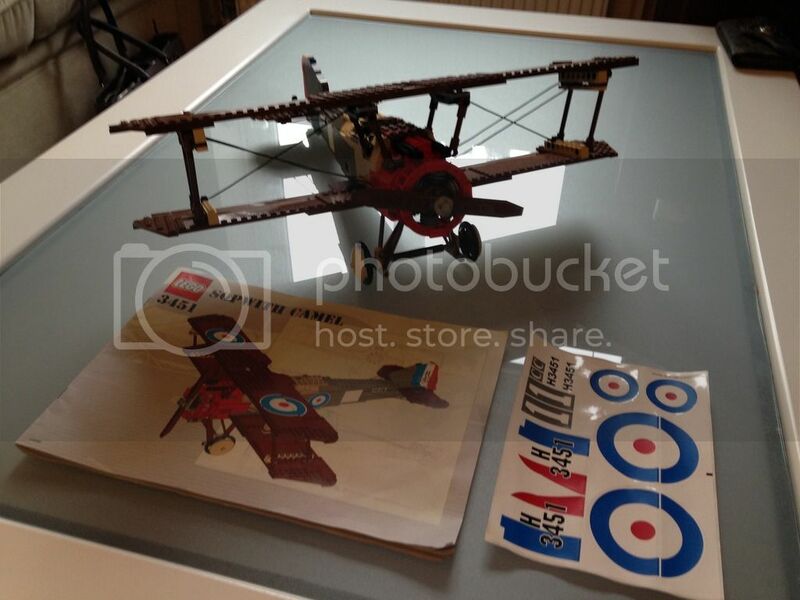 On behalf of Fairy Bricks, pre-loved sets for sale. WW postage. Space/Technic/Ferrari &amp; more. Late in the summer last year I offered to pick up a massive donation to the Fairy Bricks charity. Amongst the amazing selection of old sealed sets was an abundance of used lego that I have been piecing together when I've had the time. All of the sets are 99.9% complete and are an absolute credit to the kind person who handed them over. With the blessing of Kev ill be listing the sets here, for sale to the community. All of the proceeds will go directly to Fairy Bricks and the shipping can be arranged between me and the buyer. I have an account with a UK courier company so can hopefully get great deals on UK/EU or WW shipping. I have pictures of everything and ill be uploading them in good time. Now to the good bit, the sets! 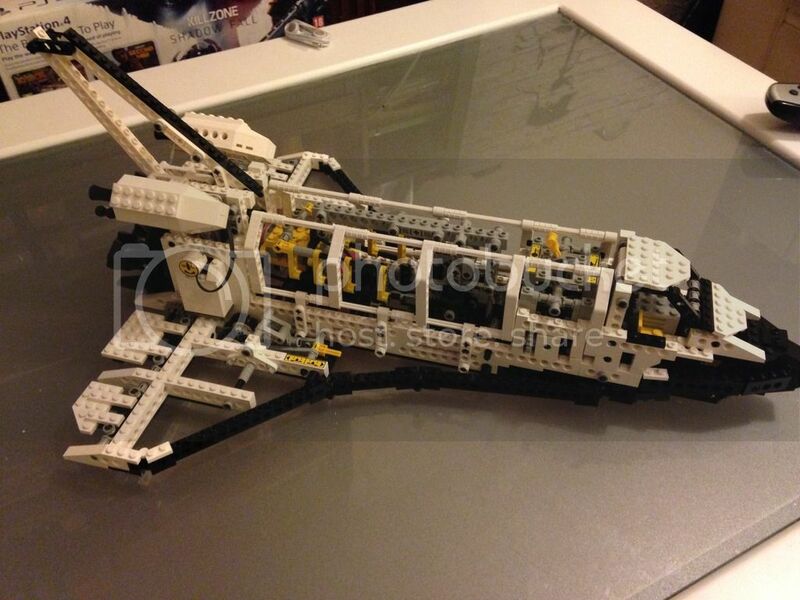 99.9% complete with the instruction manual in excellent condition. An absolute stunner of a set. Ive only built the main build but comes with a few spares that I presume will go towards the 2nd build. 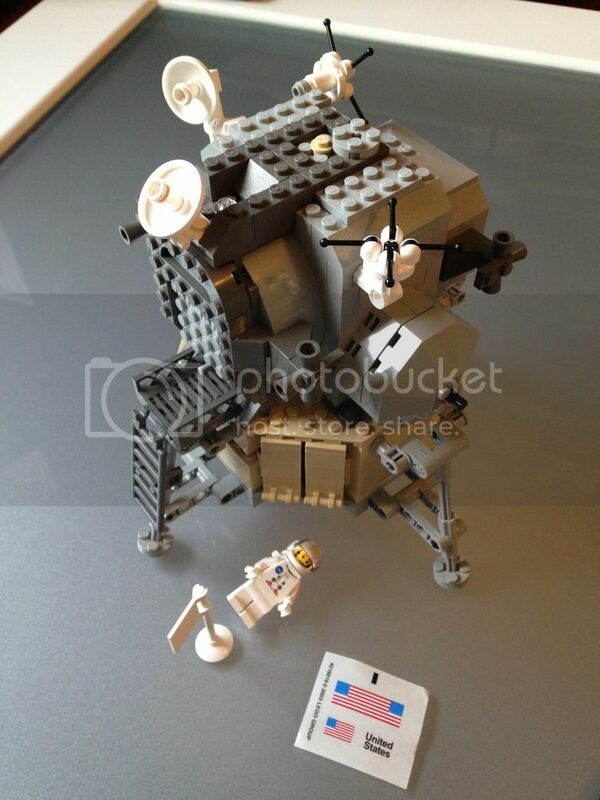 #10029 Lunar Lander, 2 of these. 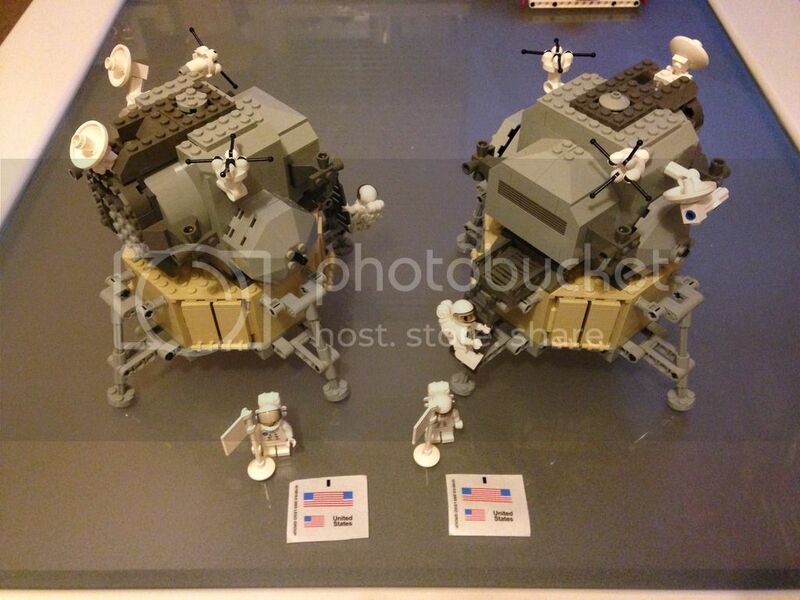 One complete with manual/unused sticker, one missing 10-12 pieces and with a missing astronaut torso/head. #8459 Pneumatic Loader, built main model, not alternative. No spares so didn't want to get through the 2nd build and be short on pieces. Manual and stickers unused. #8386 Ferrari F1, one 100% complete with unused stickers and manuals. A second 99% complete, no manual. #8438 Pneumatic Crane. 100% complete, not built alt model though. With manual. There are more but ill need to check on them again to confirm some details. Check the BL pricing, make an offer but bear in mind that the proceeds are going to a good cause so be fair! Any questions? Ask away and ill do my best. Having a shocker with these pictures. Ill try again later! Note, the Ferrari has stickers, un used. 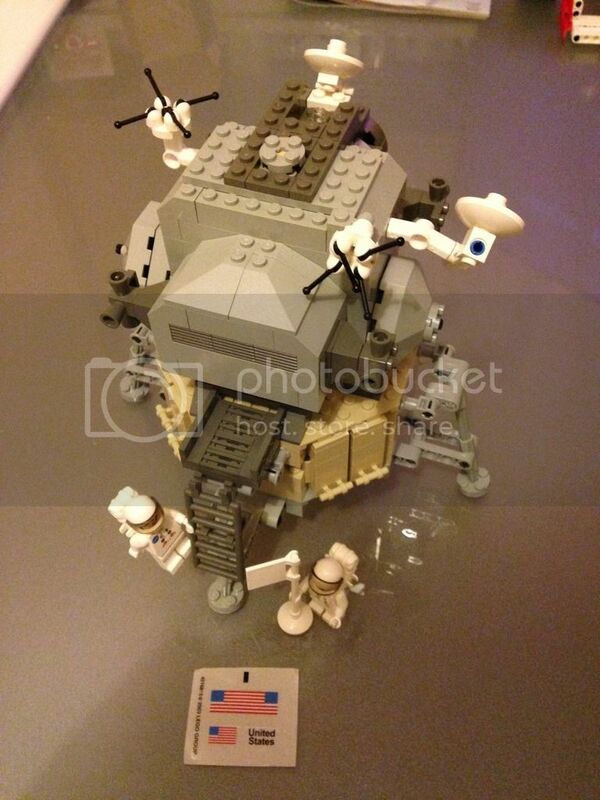 The Lunar Lander is complete with both minifigs and instructions. I need to upload the Shuttle pictures. 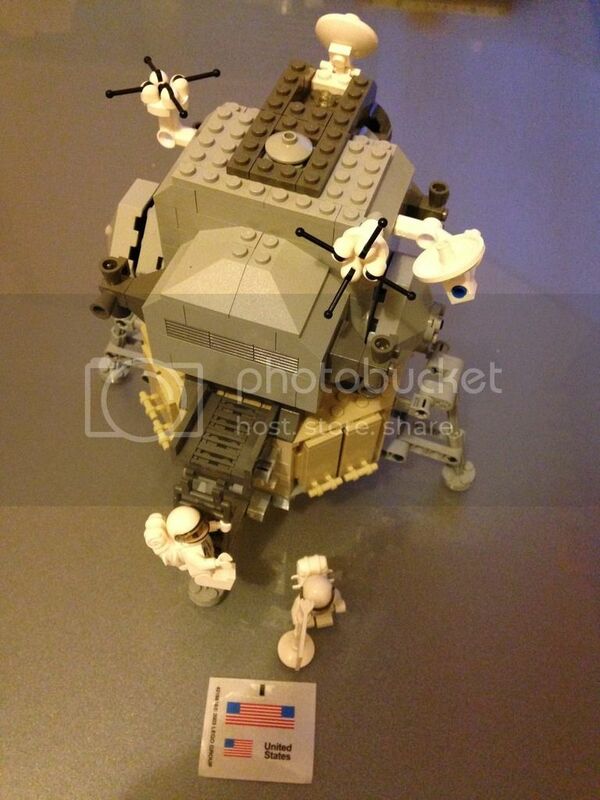 I have managed to complete the second Lunar Lander after finding the missing Torso and BL'ing the missing bits. The only piece missing is a single round plate that goes on top. Ive replaced it with a similar plate, can be seen in the picture. The cheapest LL on BL that is 100% with Instructions and stickers is £161 so OIRO please. 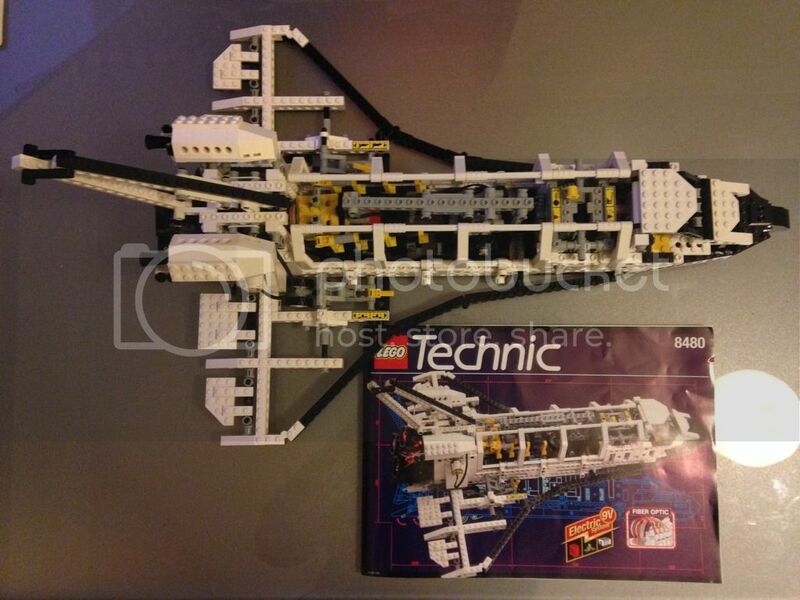 The Technic Space Shuttle has all the pieces for the primary build and some spare that could be for the second build. I won't be taking it apart and building the 2nd build but the Instructions are mint. Cheapest similar on BL is £140ish so OIRO please. #7468 Saturn Moon Mission is a gem of a little set. There isn't a comparable used one on BL with unused stickers etc so OIRO £60 would be considered. 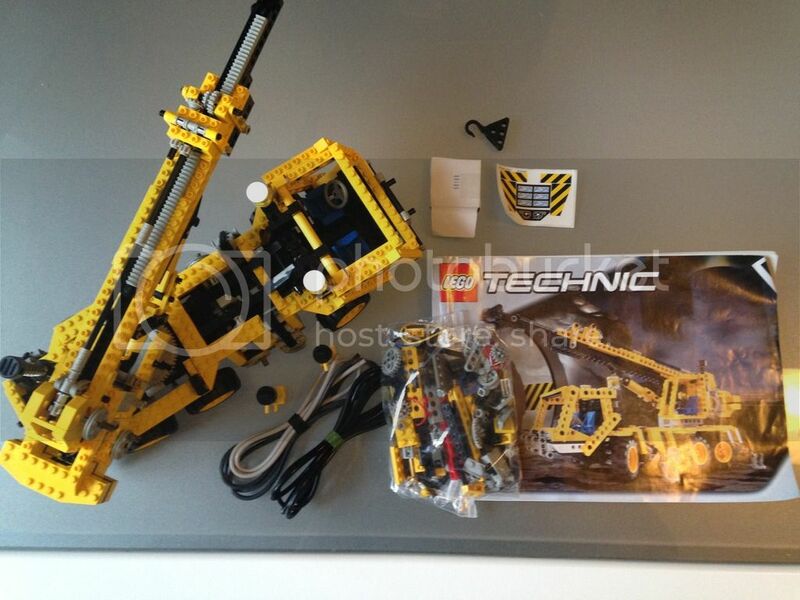 The two Pneumatic Technic vehicles are both 100% for the first build and both come with spares that may be part of the second set. Think they work well as a pair so OIRO £80 based on fair BL prices. 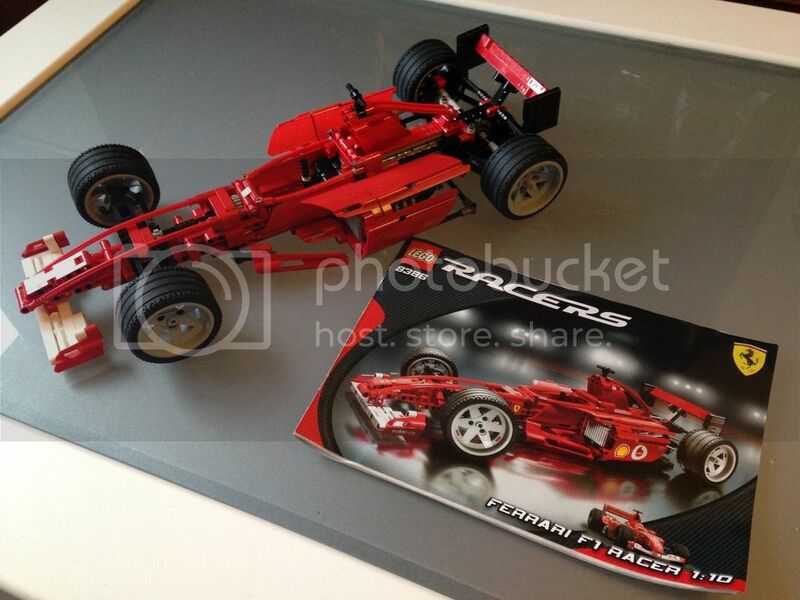 As above, the first Ferrari sold to @sirrich69 and that puts £60 into the Fairy Brick pot! Unless some good offers come in ill let the auctions run their course. eBay generally sets the value anyway so I'm hoping for some fair prices. 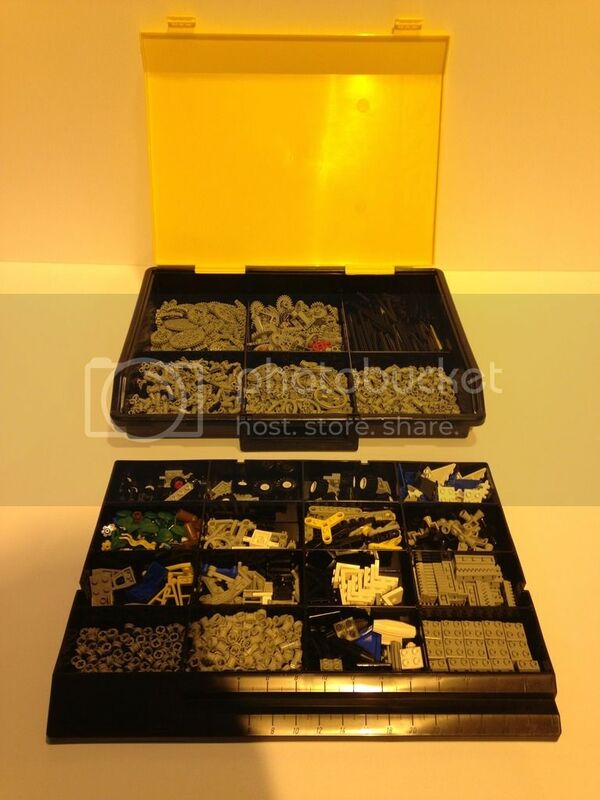 In the next few days ill be listing some other bits including some straight-up bulk bricks and some 36x48 Technic Storage Cases, full to the brim of goodies. Keep an eye out and speed the word. 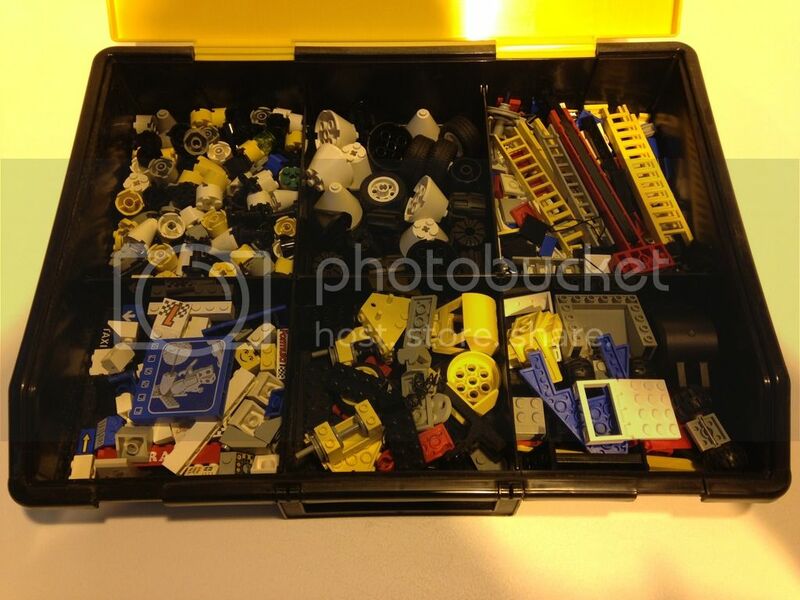 These are the 36x48 Technic Storage boxes. 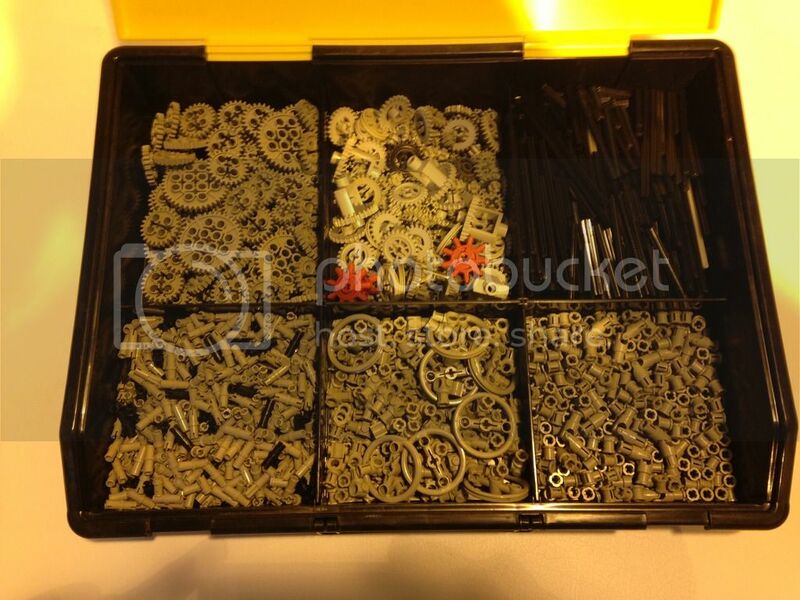 A couple of them are full to the brim of Technic bits and bobs. 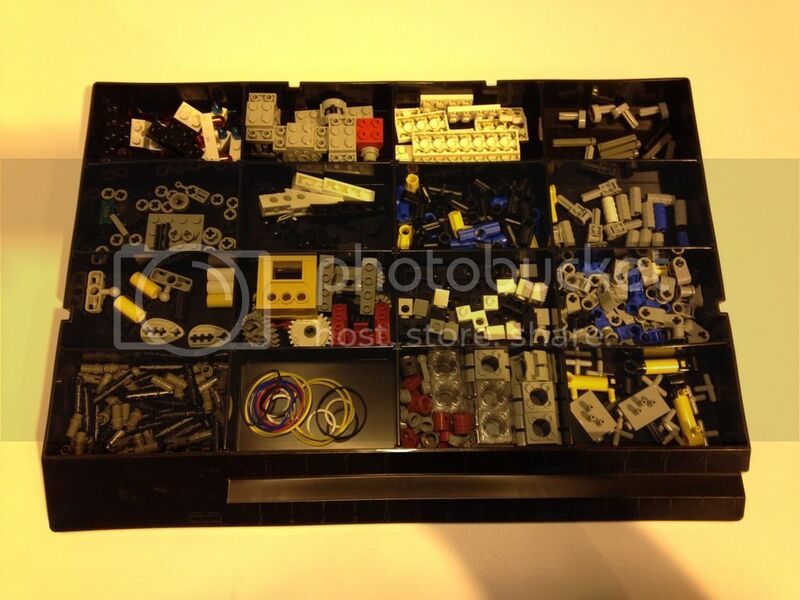 The other two are a mixture of minifigs, small parts, printed bricks, trans parts etc. 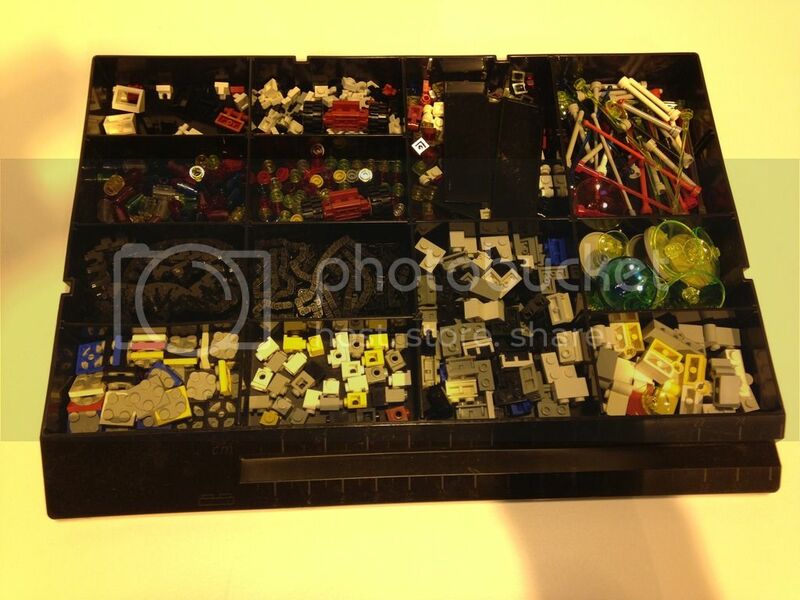 The only bits I can personally value are the Space minifigs, Im clueless as to the value of the rest of it. With that in mind, please let me know what you're interested in and we'll attempt to come up with a valuation between us. Thanks to @graphite stateside. 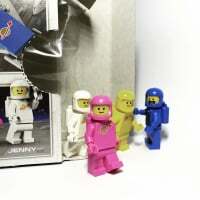 The Lunar Lander and the second Ferrari have now sold adding a further £202 to the Fairy Bricks total! 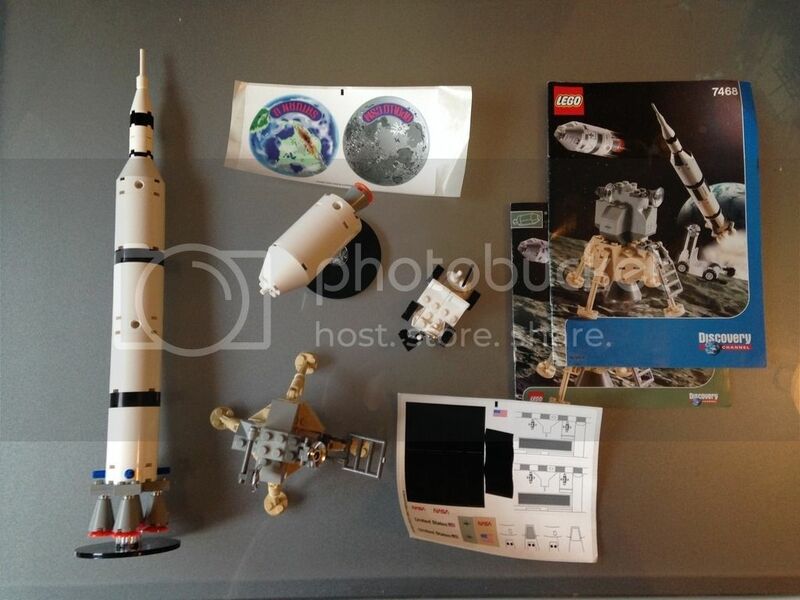 I am making inroads into the Space sets mixed in with the above Technic boxes and will be hopefully listing these by the weekend so keep an eye out. With all of the auctions ending yesterday, the running total is approx £530. Next up to be listed will be a nearly complete #926 and a fully complete #8480 including all the 9v/optic/battery parts and a mint manual. Having sorted the bulk of bricks I have separated approx 11-12 kg of straight up old school bricks and plates in Black, White, Red, Yellow and Blue. If anyone is interested then PM me and ill give you some more details. 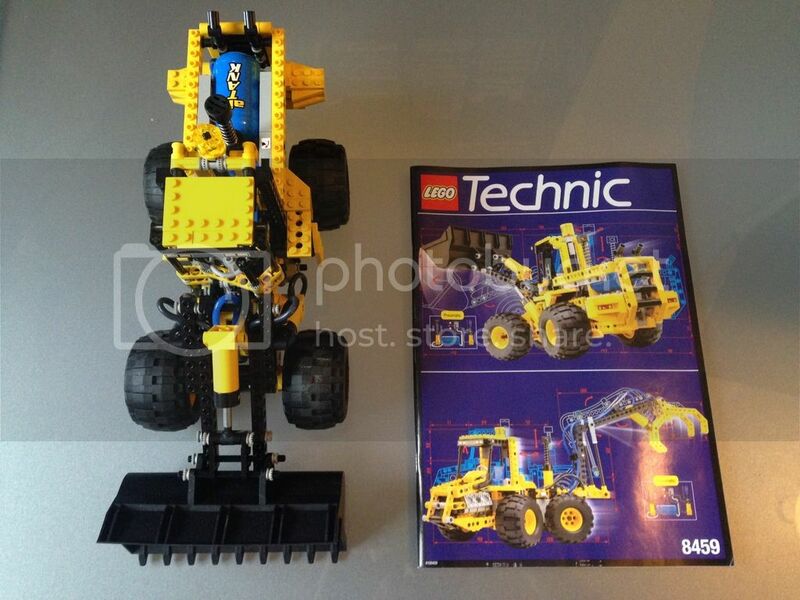 The above Technic trays will also be back on the market once I am sure I've made the most out of what is there. 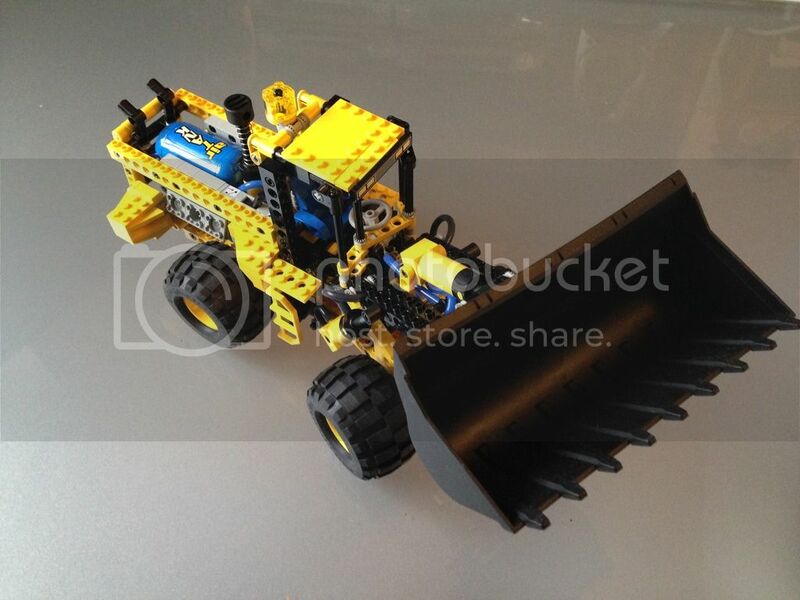 Id prefer this set went to a Bricksetter. I put it together in double quick time to check all the pieces were there and messed up on a couple of gears. I can't be building it again, it'll be painful enough taking it apart so if bought by a Bricksetter it'll save hassle from an unhappy eBay buyer! All the parts are in excellent condition. The stickers are applied but all good and the manual is mint. Cant verify that the 9v parts work but they're in great condition and I can't see why the wouldn't. 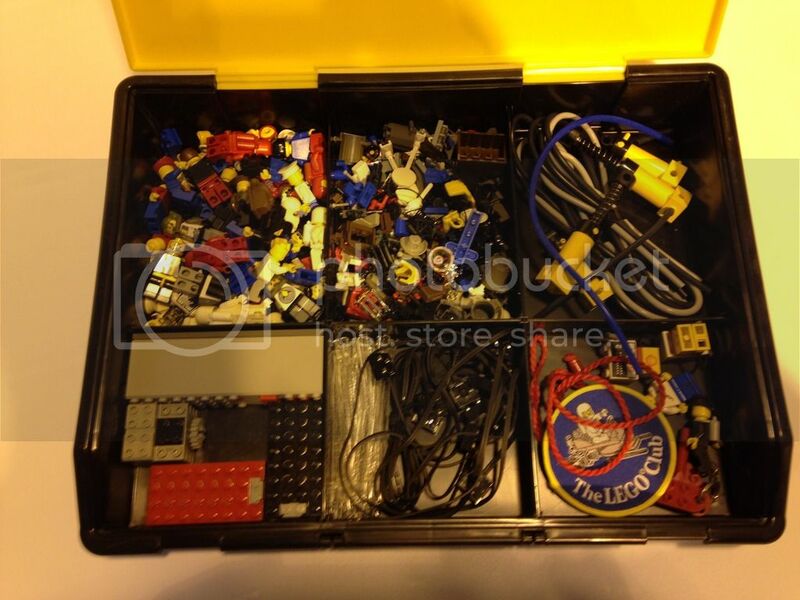 Ill supply spare optics box and spare fibre optics to the buyer as well as a selection of spare technic pieces. Comparable BL sets are approx £140 but I promise the piece are mint. Offers please, and remember its all for the charity! Im guessing these are all gone? Apart from the Shuttle above and those yet to be listed, they are all sold and sent. Bump for the above #8480 Technic Shuttle. Its in excellent condition and the manual is great as well. Offers welcome on it as like I said before I built it in double quick time and whilst I'm pretty content its all there, I messed up on a gear and would prefer to sort any issues with a Bricksetter over an ebayer! 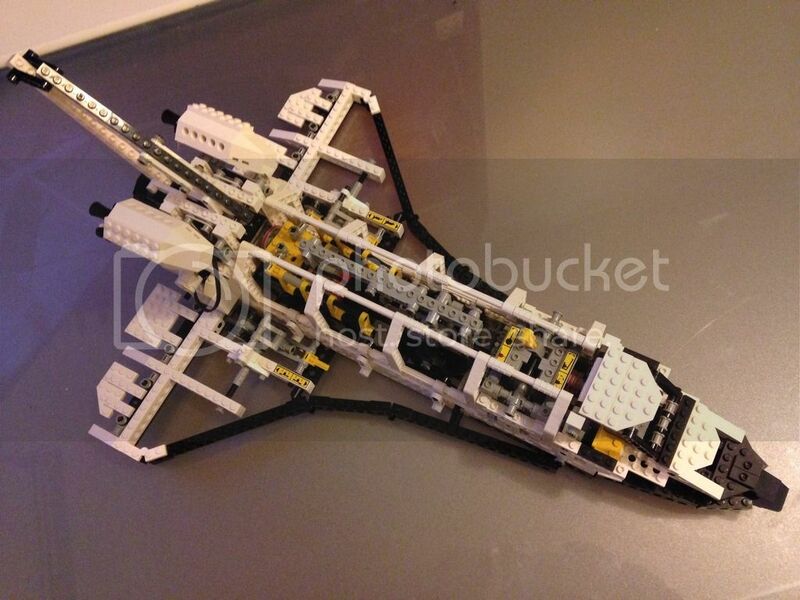 Have just completed a #6982 Explorien Starship if anyone has any interest? All of the parts are in excellent condition but it is missing the box and one of the mini figures (not the cool droid guy though) I should get a picture up as its a pretty cool set with a fair amount of decent trans parts. The Shuttle is still available and needs a home. Best priced comparable one on BL that isn't yellowed and includes instructions is £97 so £80 seems fair for this beast of a set. The #6982 Starship is also still here. If there are no takers I may well chip in for this one myself as its been on my coffee table for 3 months now! Any sensible offers considered on the Explorien Shuttle. Its too nice a set to throw back in with the bulk. #6982 Now on ebay, long auction I know but I am away for most of the week.